I’ve been cooking this at home for a long long time; it’s surprising why it took me so long to make a post on it. 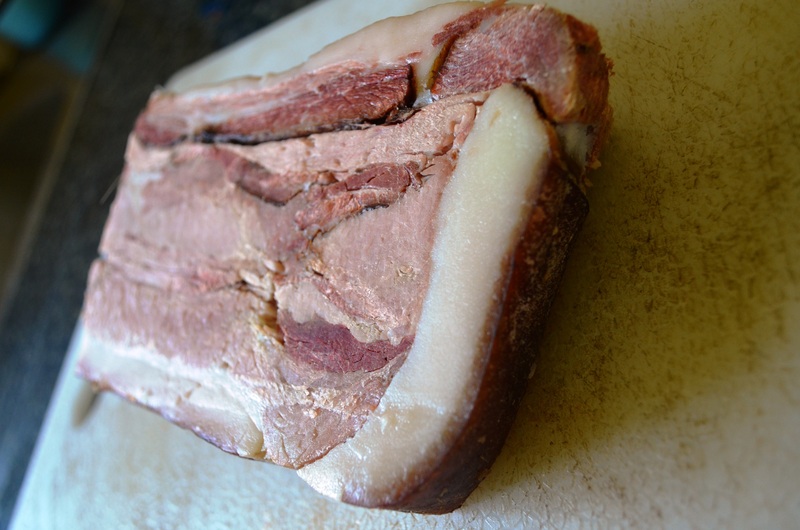 The original glazed ham recipe asks for a smoked/ cooked chunk of ham that has a layer of fat around it. Somehow, all these years I never got such ham and had to make do with the black forest ham we used to pick up from the local Spencer’s store. While even that used to turn out nice and was much appreciated by family and friends who came back for seconds and thirds, this time I managed to lay my hands on a real Mccoy from Kalman’s. For those outside Kolkata, Kalman’s is this old, almost antique meat shop tucked into a non-descript space between two shops near New Market, and is famous for its Hungarian origin and marvelous variety in meat products, so much so that it has a cult following of its own. I have seen people being secretive about Kalman’s, and the look on their faces when we say yes we have discovered it too, is pretty evil and satisfying at the same time. 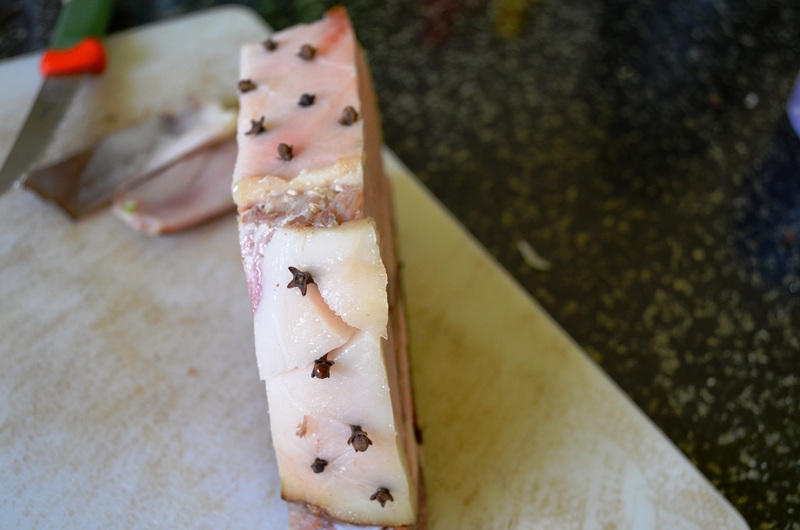 The cut of smoked ham that we got had the required layer of fat around it, that was important for me to be able to score (pun not originally intended but I am cool like that). Smoked ham is good to be eaten on its own, this is how marvelous it looked before we did things to it. If there isn’t enough fat (about half an inch thick) on your cut, just use 2 tbsp of butter. If you need some heat, sprinkle some paprika powder along with the standard rub. 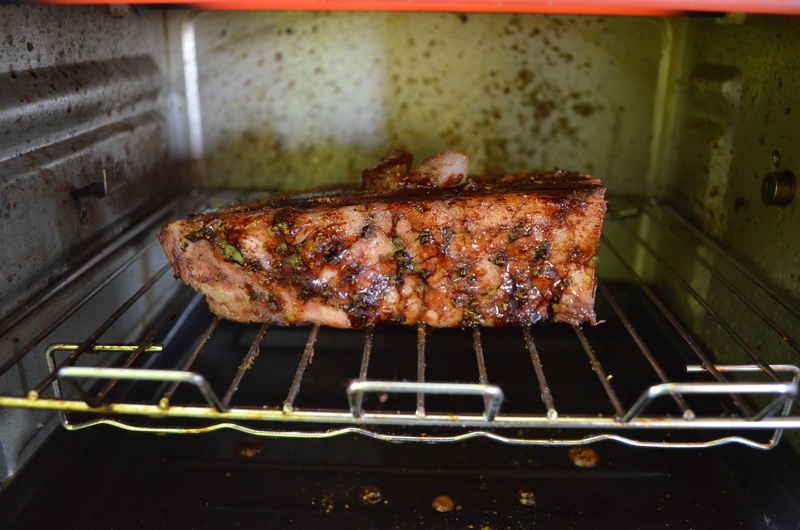 Take off the skin so as to expose the fat layer beneath, surrounding the meat. Score the fat surface to create rhombuses. Plug in whole cloves at the intersections of the rhombuses. Pour over the honey to coat it evenly. Stick it into a preheated oven and roast on medium – low heat for at least an hour, turning it in between at about the half way mark. Poke a knife in the centre of the chunk to see if it feels soft enough, if not, bake for half an hour more. Serve it ideally with creamy mashed potatoes. 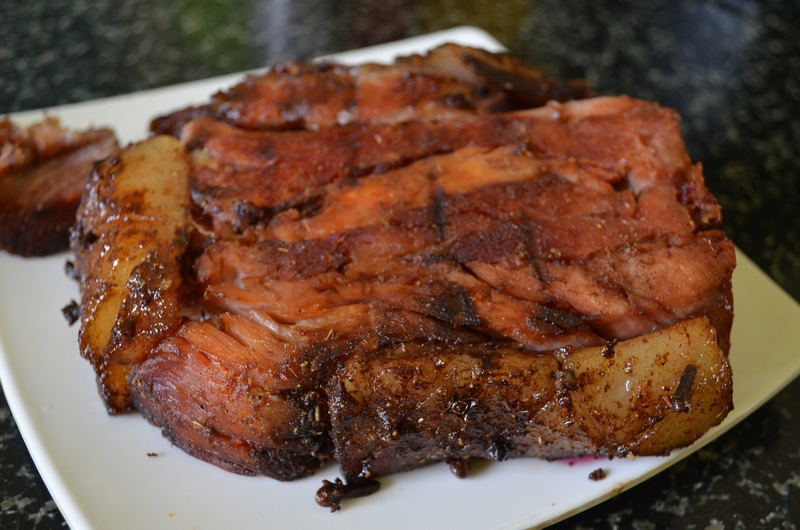 Going by experience, glazed ham tastes better with time; and its quite heavy on the stomach so you would always have leftovers that could be used up the next morning for a kingly breakfast. I kept shredding from the corners to use it in burgers, sandwiches, and as topping for my ramen and bibimbap. Previous Previous post: Gunpowder Kaboom!